Why just stay when you can ‘Stay Unique’? WotUSee is an exclusive online window into a whole new world of 'one-of-a-kind' accommodation deals, in and around Port Douglas and Palm Cove. 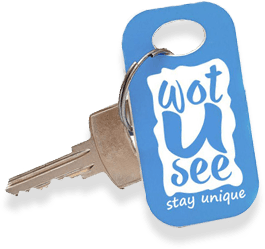 Unlike so many other accommodation booking sites, every room you see on WotUSee is exactly the room you get - hence the inspiration for its name. And because WotUSee puts you in direct contact with the local property owner, your whole booking experience is far more personal, flexible and risk-free. WotUSee was born out of many years of experience in promoting and managing unique accommodation properties in the Port Douglas region. Now, for the very first time, these highly-sought-after, ‘one-of-a-kind’ properties, are all available to you in real time on one exclusive site.